Liverpool fans must be wondering how difficult it is to make a choice between a possible UEFA Champions League triumph and a final taste of premier league glory. The Anfield side are yet to taste victory since the start of the English Premier League in 1992 and have endured all sorts of soccer bants with the nearly men tag sticking perfectly on them; in the 08/09 season that saw Fernando Torres and Steven Gerrard labor hard to keep them on top for so long, Rafael Benitez managed to involve himself and his team by extension in a war of words culminating into mind games with the legendary Sir Alex Ferguson and never had a happy ending, Brendan Rodgers gave a good fight with the trio of Raheem Sterling, Steven Gerrard and unarguably the best player in the country that year (2013-14), Luis Suarez but still fell short when they lost a three goal lead at Selhurst Park while chasing goals difference and Steven Gerrard’s infamous slip in the face of the lurking Demba Ba to ultimately end their ambitions for that season; no one had a realistic chance of challenging Manchester City last season, but Liverpool have looked the part for the most of this season, they lost steam over the yuletide and now have to play catch up to the champions that they had 7points advantage over at some points. Manchester City are away this weekend on FA Cup duties, they will negotiate Brighton and Hove, a team that has absolutely nothing on them in terms of quality and ability, it should be straightforward but FA Cup has its magic and things doesn’t always follow the script. For the run in, City still have the duo of top four hopefuls, Manchester United and Tottenham to negotiate, the rest are potential banana peels but they will likely jump over them, Liverpool did well to ride their luck to overcome Spurs last weekend, had that unfortunate own goal not happened, Liverpool would have been well and truly out of the race but they live to fight another day off a Toby Alderweireld failed clearance. Squad depth is key to title triumph, City has that advantage over Liverpool, the boys on Liverpool’s bench can’t make things happen as much as the lads on the City bench would do, but one thing they seem to have in abundance is that element of luck – you can tell that every champion has a dose of it but how far will that X-Factor take the Kops? They must beat Southampton to even stand a chance of having a seat at the table of the title conversations but the Saints have reasons to turn up too, they lie 16th, level on points with Burnley and just five points ahead of Cardiff with seven for them to play, they do have the chance to survive but every point matters as they have only Newcastle and Huddersfield to play among the distressed side, the rest aren’t against top six sides but they’re against the teams in the top half. 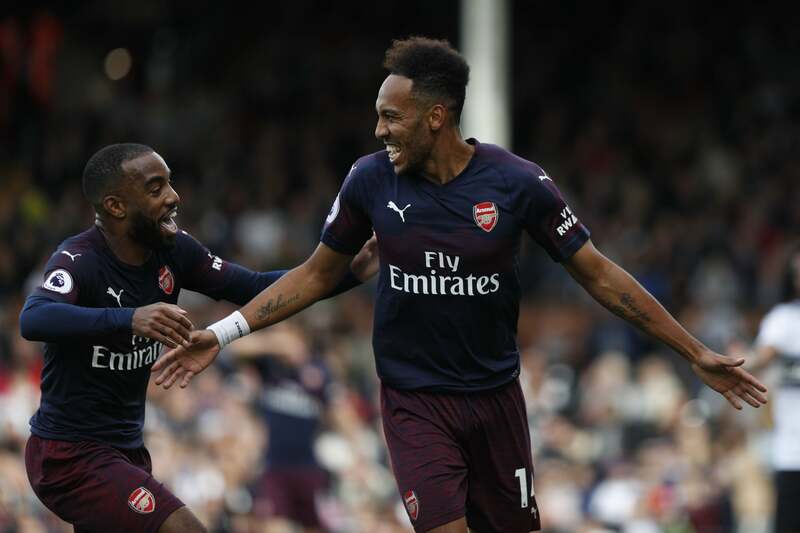 Arsenal were third for the first time in a long time after seeing out Newcastle on Monday but Spurs’ win over Crystal Palace on their new stadium debut returned the Gunners to fourth but with a game in mind. Arsenal are the favorites for the UCL race among the contenders but they do have five of their remaining seven games away from home and also with a not so enviable away record starring them in the face. They will play the likes of Leicester, Everton, Wolves and Watford away, winnable for any top side but these teams also have something at stake and will also go for it. Everton have been underwhelming for long, they did beat Chelsea and went away to win at westham, they have a horrific record anywhere, home or away against Arsenal and will look to put things in order this weekend, Arsenal have top four hopes in sight and also have to negotiate Napoli for Europa league semi final berth, while the Gunners will enjoy lifting a trophy in Unai Emery’s first season, they can’t afford to take unintelligent risk with their league positions, they do have margin for errors compared to their rivals but it’s advisable for them to treat every game as a final. Burnley know they have only one job to do, pick a point at least in every of their remaining games and they will survive, Cardiff may be far off on the chase but Neil Warnock’s side have everything it takes to shock bookies and survive, the loss to Chelsea was aided by the madness of the center referee and his assistants but they have to move on from that. Bournemouth on their parts have gone from being a threat to being bunch of bad jokes, at some points you almost can tell that they will score goals and probably win games, these days they only accumulate bookings and lose stupidly; Burnley aren’t safe, mathematically, Bournemouth can still go down, they’re two points away from the magical 40 points, this game will be a very interesting one depending on what version of the two sides come to party. Huddersfield are relegated, their survival last season was miraculous, their squad is a mid table standard for the second tier of English football, no top ten side would be interested in any of their men to be honest, whatever it is they do now is to prepare them for life in the championship next season, they have Fulham in company, sad for the Lilywhites, for all the money they spent, for all the investment, going down hurts but it is what it is. Leicester travel to the John Smith Stadium to play the terriers, the race to be the best of the rest is very much on and with Wolves strengthening their case with the scalp of the Red Devils in midweek, the trio of Watford, Leicester and Everton have it all to do. Chelsea were lucky last time out against Cardiff but made no mistake against Brighton, they were clinical and maybe Maurrizio Sarri learned one or two things with the opportunities given to Callum Hudson-Odoi and Ruben Loftus Cheek against the Seagulls; The Blues do have Slavia Prague to prepare for in Europe on Thursday but their top four hopes received a big boost with United’s slip at Wolves and can now throw themselves into the mix with a win over Westham on Monday. The Hammers have been poor recently, had to come from 3:1 down to beat Huddersfield a fortnight ago but did little as Everton ran them over last weekend and now their top ten finish is hanging in the balance, they want to challenge for the seventh place, it’s mathematically possible but they must show they want it, starting from this game at Stamford Bridge. Just few games are available this weekend with Wolves, City, Brighton and Watford very much busy in the FA Cup semi finals, we expect City to dust Brighton and Watford to edge Wolves in the two clashes at Wembley over the weekend, but the one that matters here is the league affairs… Let’s do it!